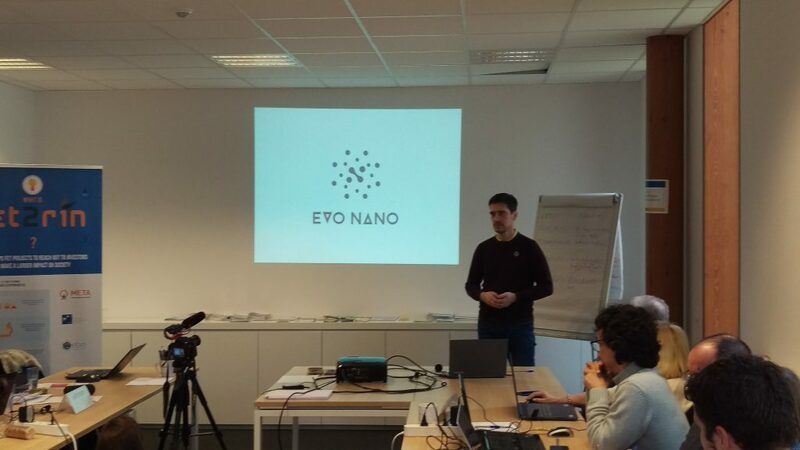 On the 21st and 22nd of February, principal investigator Igor Balaz and a number of EVO-NANO partners attended the third and final in a series of Future & Emerging Technologies workshops held in Brussels, Belgium on learning to find and communicate with investors. 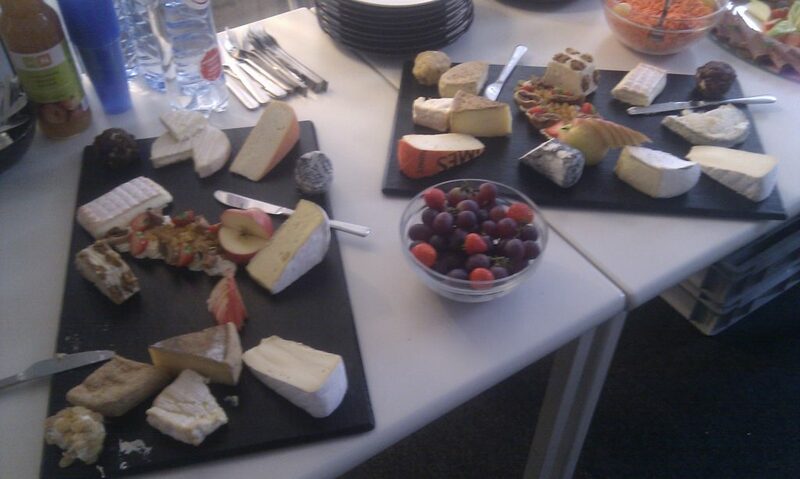 As this was the last time they would be meeting their coaches, the atmosphere was a relaxed and pleasant one, and the team made special note of the abundant buffet of cheeses on offer (the most important part of a European workshop, obviously ☺). On the second day, all the projects prepared a longer 15-minute pitch to present to Luigi Amati, the president of Business Angels Europe (https://www.businessangelseurope.com/). This time around, EVO-NANO presented their best-case scenario: fast-forward to 2021 and with all our intended objectives reached, we would then be ready for entering the entrepreneurial arena. We asked for an investment of EUR 500,000 for the following three years, in order to run additional analyses of cancer models, further develop our software platform and run marketing campaigns about our work. 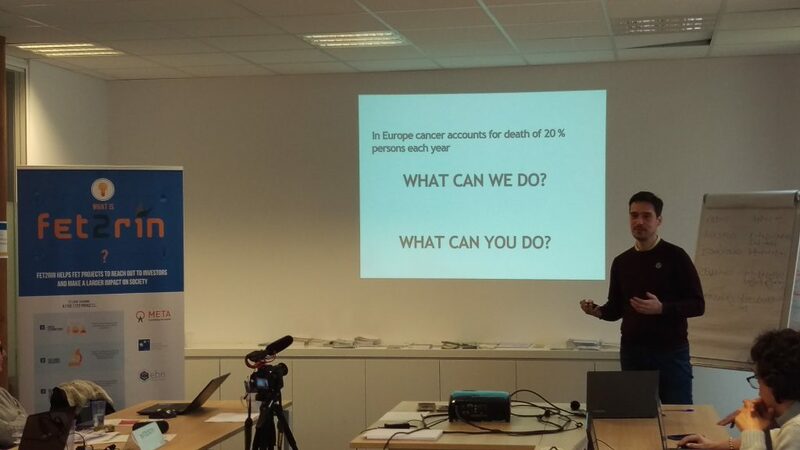 After their pitch, the team received some excellent feedback from Luigi about the way in which EVO-NANO presented. With his expertise he was able to point out areas in which our presentations could improve, but he was satisfied with the fundamental applicability and potential of our platform to take a significant role in the development of new nanomedicines. All in all, the EVO-NANO team reported that this workshop was a great learning experience all round. They became aware of aspects of the marketing that they hadn’t considered previously, and were grateful to have gained this knowledge at the outset of our project rather than mid-way through – as this means there is plenty of time to incorporate the teachings into the project pipeline as it goes forward. Thanks to the organizers, FET-Open CSA project FET2RIN; Dario Mazzella who ran all the workshops with great passion; and to all the moderators and coaches who shared their collective wisdom with our team.